I used a Polar CS600 for a number of years. GPS hadn’t really taken off yet, and it was a great little computer in its day. Heart rate, barometric altimeter, your basic cycling functions. But what always sucked about Polar was that you had to infer your position on a map from an elevation plot. “Oh yeah, see that little bump there, between the two smaller ones after the long flat section? That must be Cemetery Hill.” Stupid. But you weren’t thinking stupid at the time; it was what you had. Now Garmin and Strava blow this to bits. Even though my old Polar data has no GPS information, I still wondered what it would look like if you could convert the files into a format that could be consumed by Strava. A number of web services will do this for you; I happened to use this one. The process of getting the data out of Polar is convoluted, but not difficult. But it does work. You put in a .HRM, get back a .TCX, and you’re in business. Since I have so much data, I picked a few interesting rides from the past. 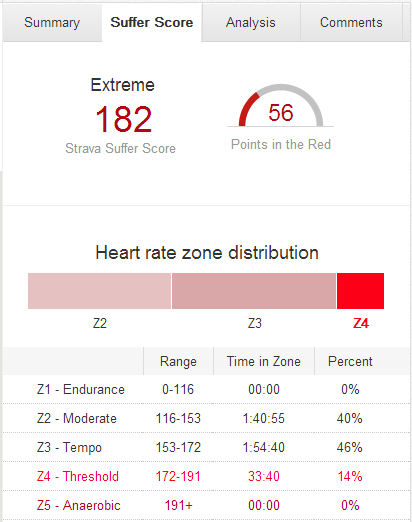 Within Strava you do get to see your speed/cadence/HR plotted against the elevation profile of the ride, but of course there’s no GPS context. 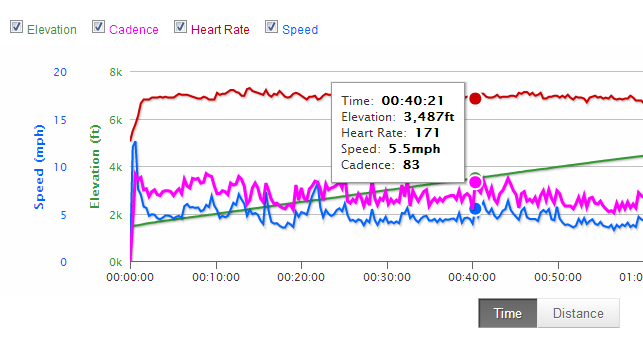 You’re kinda left with effectively what you had with Polar Protrainer, except that you’ve modernized it. That’s fine; at least it’s more accessible now. I don’t have to go digging through a separate piece of software I never use anymore. Mount Washington Practice Ride, 2008. This was my PR; 1:34. 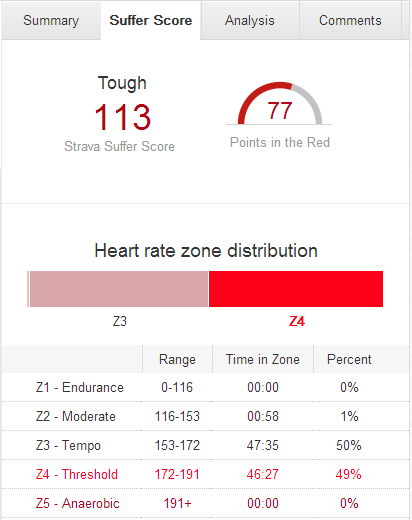 My zones at the time loosely match what Strava believes them to be, so this is reasonably accurate. Although the Z3 data is almost certainly the very top end of Z3, bordering on low Z4. This effort ain’t no tempo ride, and if you’re mixing fuel during a time trial, you’re doing it wrong. Battenkill, 2010. This is what it looks like when you get dropped at the covered bridge, solo until you bonk, and then bonk indefinitely until the lights come back on, wherever the hell that happened to be. This was one of those rides where all you wanted to do is crash yourself. And 6 Gaps, 2008. 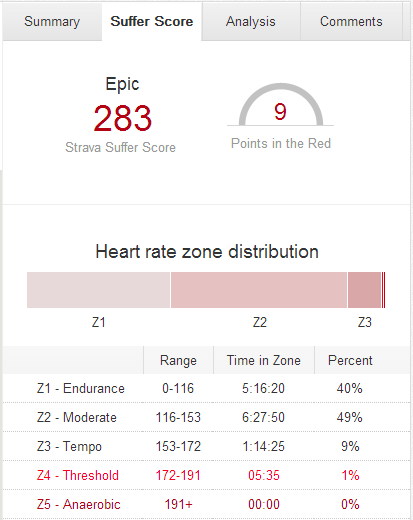 This is actually fantastic HR distribution for an epic ride. The problem is IT SHOULDN’T TAKE 13 HOURS. But that’s what happens when you’re deathly afraid of a ride with 14,000 feet of climbing and take nothing larger than a 32t chainring. And you end up riding in the dark for three hours with no lights. If you’re at all curious, I finally cut the cord on my Polar and got into a couple of the new Garmin Edge units. I started with the 510, and it was really good. But the breadcrumb-only navigation was too frustrating and I wanted real maps. I’m now on the 810, and I love it. It’s only marginally larger, and while the battery life is not as good as the 510, it’s a perfectly acceptable trade-off. The menus on the 810 are a lot more responsive as well, and everything is easier to read. On-bike nav is really cool, and really useful. The website link for this is no longer working. Has been like this for over a week now. Anyone have any contact details for the person who built it? oh my god, a Garmin and you are happy?